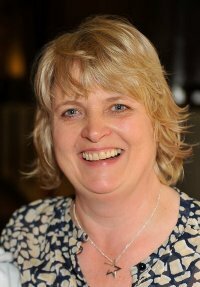 My name is Lynne McNicoll and I am co-founder of It’s Good to Give! and currently Scotland’s Volunteer Fundraiser of the Year. I started fundraising in December 2005 as I hit my 49th birthday I wanted to find a different and more giving way to celebrate my 50th birthday. I very much appreciate all I have, count my blessings daily! I wanted a way to express that gratitude and I have found it in helping others. I said I would raise £50,000 for a young persons cancer charity by my 50th birthday.I was named Fundraiser of the Year in 2009 and now run It’s Good 2 Give. The buzz in Edinburgh during August is fantastic but it’s as nothing compared to the buzz in the It’s Good 2 Give! office as we prepare for our September challenge. Bulk supplies of postcards for our Pound Pics challenge have been delivered along with crates of Crabbies Ginger Beer (it IS tickety boo) for Hatwalk. There is hardly space left in our house for us! Bottlegreen soft drinks have sponsored us all year so there are crates of that too. We are awash with refreshments. Emails ping in at regular intervals with bookings for events or challenges. I seem to be quite addicted to that noise and unable to either switch it off or stop myself from rushing to the computer to see who it’s from. They are quite different – one is arty and one foodie! The Pound Pics Challenge is your chance to have your artwork displayed in an Edinburgh Art Gallery! Take a one pound coin, stick it to our postcard and create a masterpiece around the pound coin! Impress us with your artistic abilities for the opportunity to win one of our amazing prizes and have your postcard displayed in Zed art gallery in Cumberland Street, Edinburgh. Towering piles of envelopes on the windowsills in our office are just waiting on the postcards being added then they will be posted out to every school in the East of Scotland and to many businesses too. Around the World in 80 Meals is your chance to indulge in some foodie fundraising! Pick a country form the list of 80 on our website and invite friends to enjoy an international spread with you in return for a donation to It’s Good 2 Give! Tell us what you cooked and send us a photo of your feast to lynne@itsgood2give.co.uk for the chance to win a two night stay at the Hilton Hotel in Dublin or a meal for two at Fishers restaurant in Edinburgh. Around the world in 80 meals is the challenge my long suffering husband is most looking forward to – at last he will get a home cooked meal again – I originally chose Scotland but actually it’s going to be multi-national now – I am making haggis lasagne, haggis tacos, stovies, haggis pizza, warm black pudding salad, brownies with Scottish raspberries, eton mess, and for my dad anzac biscuits! We even have a piper to welcome our guests in. As I write this we have 20 events already organised (see below) – I am overjoyed and excited – I love the community coming together like this to help raise funds and awareness for charity. I often say that we are a co-operative of like minded people working together to help another group of people, in this case children and young people with cancer and their families. Everyone who helps It’s Good 2 Give! does so because they want to – they give their time, skills, ideas as well as their money. Our accountant, lawyer, project manager, IT specialist all donate their professional support. We are able to provide services of the highest calibre while keeping our costs as low as possible. This financial year we are proud to say that 100% of donations and 100% profits from events goes to our projects. That is only possible because of the co-operation and support from individuals and businesses locally. So, if you fancy a zipslide, afternoon tea Blingo, a fashion show, cupcake auction, Hatwalk fashion show then Edinburgh’s the place to be in September. All events are priced so that they are good value for money as well as helping us raise funds. Kindness is at my very core and so I have also made September kindness month. I pledge to do one random act of kindness every day and blog about it. My aim is to encourage others to take part too. Kindness is vastly underrated. It makes you feel good to be on the receiving end and it sure makes you feel good to give. On that note I leave you with this quote.